I’ve been following the comments to a post at violetwisp.wordpress.com (before you go there, be warned the conversation is very long — and some of it is totally irrelevant, but fun). This is such a long-time traditional teaching of the church, I doubt any believer reading it would disagree. Yet I wonder how many Christians know where this “original sin” doctrine originated. (As a refresher — original sin is the Christian doctrine of humanity’s state of sin that resulted from the fall of man, i.e., Adam’s rebellion in Eden). I decided to offer a brief history lesson on this subject. Much of the information is gathered from Wikipedia, but some is from other sources that I researched during the writing of my book. The formalized doctrine of original sin was first developed in the 2nd-century by Irenaeus, the Bishop of Lyons, in his struggle against Gnosticism. Irenaeus believed that Adam’s sin had grave consequences for humanity, that it is the source of human sinfulness, mortality and enslavement to sin, and that all human beings participate in his (Adam) sin and share his guilt. Later, another church father, Augustine of Hippo, further developed the doctrine. He taught the effects of Adam’s sin are actually transmitted to his descendants by birth, i.e, when the parents experience libido (or concupiscence), the “wounded nature” is transmitted to the soul and body of the new person. Much later, Martin Luther asserted that humans inherit Adam’s guilt and are in a state of sin from the moment of conception. That is, all men are full of evil lust and inclinations from their mothers’ wombs and are unable by nature to have true fear and/or faith in God. Original sin, therefore, seems to be a hereditary depravity and corruption of our nature, diffused into all parts of the soul, which first makes us liable to God’s wrath, then also brings forth in us those works which Scripture calls “works of the flesh” (Gal 5:19). Of course, various denominations (Roman Catholics, Methodists, Seventh-Day Adventists, Jehovah Witnesses, Latter Day Saints, et al) each have their own individualistic definitions of original sin. What’s important to note, however, is that the inception of this doctrine came from none other than the bible’s famous writer, orator, self-proclaimed apostle, and hijacker of the Christian faith: PAUL. It was he who first presented this idea in Romans 5:12 and 1 Corinthians 15:22. Early church fathers such as those named above merely took his words and refashioned them to fit their own personal beliefs … and thus today the concept is thoroughly entrenched within the Christian faith. As many in Christianity believe, Paul was instructed in a “heavenly” message from a disembodied voice that he was to go to the gentiles and “open their eyes so that they may turn from darkness to light” (Acts 26:18). In his efforts to do so, Paul began teaching them that the Law was not the answer because it didn’t have the power to save; this could only be accomplished by believing in Christ’s death and resurrection (a dying-rising savior). So what did Paul do? He developed the “original sin” doctrine. He told them sin was in the world before the law was given (Romans 5:13) – and it was all because of Adam’s wrongdoing in the Garden of Eden (Romans 5:12). He further asserted that with sin came death, and since all have sinned and fall short of the glory of God (Romans 3:23), the only way to life and salvation was by acknowledging that Yeshua was the Messiah/Savior. According to early Judaic teachings (and maintained in modern-day Judaism), everyone is born innocent; that is, they enter the world free of sin.72 Throughout life, people may make choices that lead to sin, but it is not part of their inherent nature. 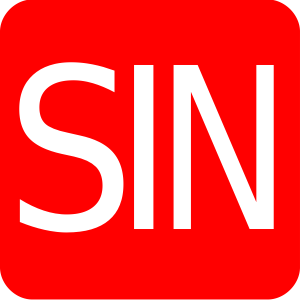 To the Jews, sin is a violation of the divine commandments and is seen as an act (thought, word, or deed), not a “state of being”73 or part of the human condition. Further, God explained in Ezekiel (18:20) that sinners will be punished for their own sins, not for the sins of others. As indicated above, this concept of original sin is a mainstay of the Christian belief system. Yet few realize it was an idea born, not of God, but from a man who believed he’d had a “revelation” from on high. A man who taught doctrines and concepts that Yeshua, the messenger to the Jews, never mentioned, and who created a religion that Yeshua would never recognize.